For some years now the Moto G has been the best budget phone one can buy on the market. It is always the perfect mix of price, power and performance without dropping most important features to meet the price-point. 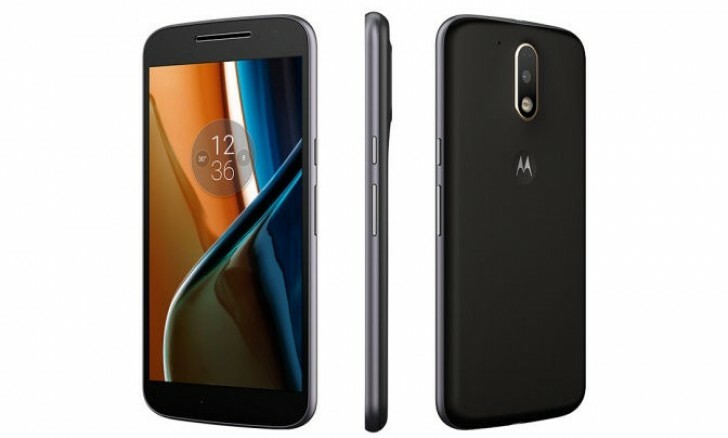 Released in earlier in May this year, Moto G4 is the first in the line-up of mobile phones to be made by Lenovo as opposed to Motorola and it's the most powerful Moto G yet, affordable at GHC 765.00 (varies from shop). The fourth-generation Moto G is a nice step forward, which tweaks the formula that worked so well last year with the third generation Moto. The screen is bigger and sharper, the CPU is faster, and the software is newer. It however lacks the water-resistance feature of the Moto G3. The Moto G4 comes in a 5.5-inch IPS LCD capacitive touch screen display with a 1080p resolution and it looks great. It’s a sizeable and manageable phone. It is only 0.5-inches bigger than the previous generation Moto G.
Colours on the screen look fantastic and super-bright. It’s a huge upgrade over the 720p display from last year’s. There have been some improvements in the camera department, too – although it's the Plus that really sets itself apart here. The regular Moto G4 has a 13-megapixel sensor, an f/2.2 aperture and an 84-degree wide-angle lens compared to the Moto G4 Plus which has 16-megapixel sensor with both laser and hybrid auto-focus. Moto’s once not-so-great camera app has been spruced up to make it fast to load, fast to focus and, importantly, fast to shoot. Selfies, also look decent, thanks to the 5-megapixel sensor on the front camera. Hope the phone will continue along all day with a pretty standard 3,000mAh battery. That’s the same size of cell that sits in the Samsung Galaxy S7 and HTC 10 – both of which have a more pixel-dense display to power, so I have high hopes. Moto phones have been impressive in the past with their battery stamina, notably the Moto X Force and Moto X Play, so I expect this one to do the same. Another fantastic addition to this affordable phone is Turbo Charging and it should provide six hours of use from a mere 15-minute charge. However, the Turbo Charger isn't supplied in the box. The MotoG4 comes running a near-stock build of Android Marshmallow 6.0.1, with only a few tweaks and different apps littered about. This, along with the mid-range Qualcomm Snapdragon 617 at a speed of 1.5GHz and 1.2GHz on Cortex-A53, runs a quad core CPU and 2GB of RAM, which makes for a speedy and smooth experience. It comes with 16GB of internal storage as standard plus a microSD card slot support up to 128GB. The Moto G4 supports microUSB v2.0. With the latest Bluetooth 4.1, A2DP, LE connection and also come pre-installed with the 802.11 a/b/g/n WiFi technology.